Noel Fehily: "We went for the sheepskin today and he was a whole lot sharper. He's a wonderful horse to ride." The Paul Nicholls-trained 100-30 chance began to get serious halfway through the race after last year's winner Cue Card attempted to lead from pillar to post, and put in a fine leap four fences from home to take the lead. The revitalised Menorah was not done with, though, and fleetingly looked like having the final say, but Silviniaco Conti's stamina kicked in when it mattered under a belligerent Noel Fehily and he ended up winning by two lengths. Menorah finished second, with Dynaste another eight lengths away in third, while Cue Card was a disappointing fourth as the 3-1 favourite and the well-fancied Taquin Du Seuil was pulled up a long way from home. Nicholls has now won the Betfair Chase six times since its inception in 2005. The trainer said: " The cheekpieces sharpened him up completely. When he's right, he's probably the best (in the country). That (King George VI Chase) is where he'll go next." Silviniaco Conti produced a curious display in last season's Gold Cup at the Cheltenham Festival, when he finished fourth but inexplicably lost his way along the run-in when in a commanding position. Nicholls said: "A few things didn't go to plan last season and I don't know what happened to him at the last in the Gold Cup. But when I saw he had his ears pricked today I knew they wouldn't get past him. "We went for headgear with See More Business (1999 Gold Cup winner) and left it on him and we put cheekpieces on him (Silviniaco Conti), so I think we'll leave them on. "There was no point in him being 100 per cent at Wetherby, it served its purpose but he got left at the third-last. 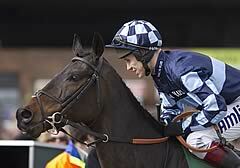 It will be Kempton next to try and win the King George again." 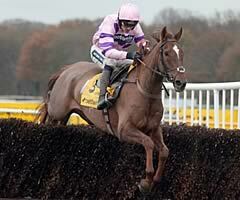 Fehily added: "It's another masterclass training performance by Paul Nicholls. He's a hell of a good horse. He's an unbelievable stayer." Philip Hobbs said of Menorah: "He's run the race of his life. Really he doesn't want three miles - two-six is ideal - but he's run a fantastic race. He just hasn't quite got home but, in fairness to him, he galloped all the way to the line. "The King George is only five weeks away and we'll have to look at that." 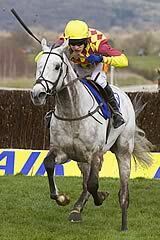 David Pipe said of Dynaste: "He's run another cracker. The ground might have just stretched his stamina a bit but he kept on going. I would have thought it would be Kempton (the King George) next." Cue Card is another destined for the King George on Boxing Day. Trainer Colin Tizzard said: "There's plenty of the season left. We've no god-given right to win all of these championship races. As long as he's sound on Sunday, we'll go on to the King George."